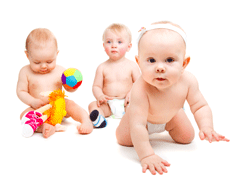 Welcome to the exciting world of Toptots Early Development Centre Australia. Baby Massage, Early Reading and Writing Skills, ABC and Counting, Shapes, Colours, Music and Movement, Creative Art Skills, Development and Social Activities. This is an early stimulation program attended by parents with babies and toddlers, and small children, pre-kindy to preschool and beyond, in moderate groups, with lots of fun on site, time to socialise, as well as presenting practical ideas to take home and try out. The program helps parents learn how to bring about life-long happiness in their child as they enter the world of education, focusing on enhancing their child’s learning and social skills. The idea is for parents to become completely involved in their child’s development. Part of what we do is teach parents how to play with their children. At the same time, we develop their little minds, we teach the children basic intellectual skills that are so vital to their success in school. They learn about colours and shapes, early literacy and numeracy skills, and we don’t forget about the body either, with plenty of exercises to develop muscles and co-ordination. The program in its total capacity provides guidance for a smooth transition from babyschool-to-kindy-to-pre-school-to-grade 1, without all the usual trauma and unpreparedness and social insecurities and anxieties. With positive re-enforcement, your child is able to make a positive experience out of what can be a somewhat very daunting situation. Much focus is centred on fine and gross motor co-ordination skills with cognitive and academic re-enforcement and physical and confidence co-ordination skills to further enforce the early learning program. Usually at the end of one year with the Toptots Program, most children are able to hold a pencil correctly, sit correctly when writing, read words and solve simple mathematical equations and produce very special creative art presentations. 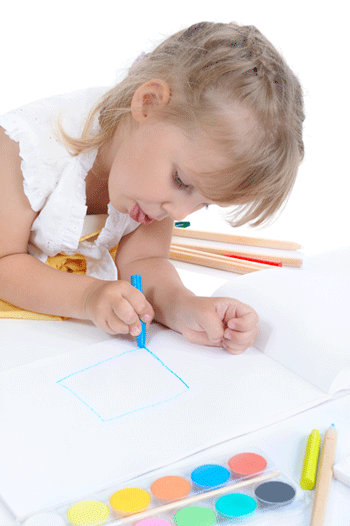 Toptots Home Tutor Program – Home schooling program Booster Holiday Programs includes NAPLAN. It’s Never too Early to Learn!